I wrote this book as part of a Mental Health Awareness campaign in the hopes of aiding others dealing with their own mental illness. The conversational writing style invites the reader into a chronically depressed mind while my constant commentary explains what is going on. This unorthodox narrative raises awareness about the importance of mental health and reduces the stigma and misconceptions which have long been attributed to mental illnesses. 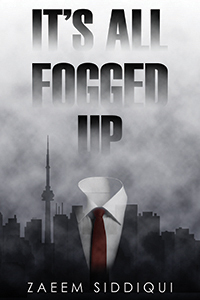 Written from the perspective of a person suffering from chronic depression (let's call him Bob), It's All Fogged Up is a combination of personal anecdotes, facts and figures, insomnia-induced rants, and cringeworthy jokes. All with a healthy dollop of philosophy on top.